Our guide to Dallas will help you find the best budget hotels in Dallas Texas. Dallas and Fort Worth, separated by 30 mi of suburbs, aren't exactly twin cities -- they're more like cousins who squabble more than they get along. Their roots are different, yet intertwined. Dallas has almost always been a center of trade, built on the ideals of capitalism and progress -- and great leaps of faith. Fort Worth's prosperity was established when the town became a stop on the Chisholm Trail, and continued when the city became a major railhead. The cattle that were herded through town more than a century ago still define the city, and its nickname, "Cowtown," persists. In Dallas, image is almost everything. There's a struggle between preservationists and those who prefer to embrace progress -- even at the expense of bulldozing pieces of the past. It's hard to imagine the flashy, glitzy Victory Park -- Dallas's newest entertainment district -- fitting in anywhere in Fort Worth. The city and its people desperately want to be on the cusp of trends rather than following the masses, and they often take themselves very seriously. But Dallas has the results to back up its persona -- the city is filled with homegrown success stories, booming businesses, and, increasingly, an evolving emphasis on the arts. There are tons of great budget hotels in the city of Dallas, our city guide will help you find the best budget hotels. You may have a hard time deciding what to do in Dallas, but we make your decision easy. 10325 N Central Expy, (214) 739-2500 - Newly renovated in 2003, the Courtyard surrounds travelers with the conveniences that make business and pleasure travel easy. 10333 N Central Expy, (214) 750-8220 - Residence Inn Dallas Central Expressway is a budget hotel / motel / resort located in Dallas TX. 10835 Composite Dr, (214) 461-2677 - Comfort Inn & Suites is a budget hotel / motel / resort located in Dallas TX. 12270 Greenville Ave, (972) 238-1133 - Extended Stay America is a budget hotel / motel / resort located in Dallas TX. 12425 E NW Hwy, (214) 327-3278 - Budget Inn is a budget hotel / motel / resort located in Dallas TX. 12670 E NW Hwy, (972) 613-5000 - Best Western Executive Inn is a budget hotel / motel / resort located in Dallas TX. 13235 Stemmons Fwy, (972) 620-7333 - La Quinta Inn Dallas Northwest Farmers Branch is a budget hotel / motel / resort located in Dallas TX. 14975 Landmark Blvd, (972) 701-0881 - Comfort Inn Addison is a budget hotel / motel / resort located in Dallas TX. 14975 Quorum Dr, (972) 866-9933 - Residence Inn Dallas Addison/Quorum Drive is a budget hotel / motel / resort located in Dallas TX. 1550 Empire Central, (214) 638-5151 - Red Roof Inn is a budget hotel / motel / resort located in Dallas TX. 1907 N Lamar St, (214) 999-0500 - SpringHill Suites Dallas Downtown/West End is a budget hotel / motel / resort located in Dallas TX. 1933 Main St, (877) 270-1389 - Hotel Indigo is a budget hotel / motel / resort located in Dallas TX. 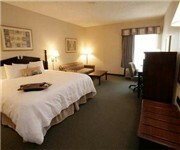 19373 Preston Rd, (972) 248-7045 - Days Inn is a budget hotel / motel / resort located in Dallas TX. 2023 Market Ctr Blvd, (214) 741-9000 - Best Western Market Center is a budget hotel / motel / resort located in Dallas TX. 2026 Market Ctr Blvd, (972) 225-7700 - Ramada Inn Limited is a budget hotel / motel / resort located in Dallas TX. 2110 Market Ctr Blvd, (214) 760-8800 - Fairfield Inn & Suites Dallas Market Center is a budget hotel / motel / resort located in Dallas TX. 2325 N Stemmons Fwy, (214) 634-8200 - Hilton Garden Inn Dallas/Market Center is a budget hotel / motel / resort located in Dallas TX. 2361 W NW Hwy, (214) 353-8774 - Best Western Northwest Inn is a budget hotel / motel / resort located in Dallas TX. There are plenty more budget hotels in Dallas. See all budget hotels in Dallas Texas.